Victor A. Rosenberg, MD is Board Certified in Obstetrics and Gynecology and Subspecialty Board Certified in Maternal-Fetal Medicine. He is a Cornell and Yale trained physician with an active clinical practice in high risk obstetrics. Edward J. Vogel, MD has twelve years of experience in medical malpractice case review. He has reviewed cases for both plaintiff and defense and has deposition as well as trial experience. His services cover all areas of obstetrics and gynecology. Edward Tongju Koh, MD PhD is a clinical anesthesiologist with 24 years of experience. He has over a decade of research experience in the neurosciences. He has special expertise in obstetrics, pediatrics, neuroanesthesia, peripheral nerve blocks for orthopedic surgery and cardiac anesthesia. General OB/GYN practice for 30 years. 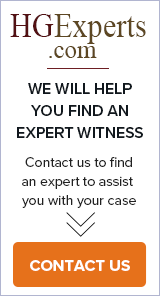 11 years expert witness consulting with extensive trail and deposition experience for both plaintiff and defense.